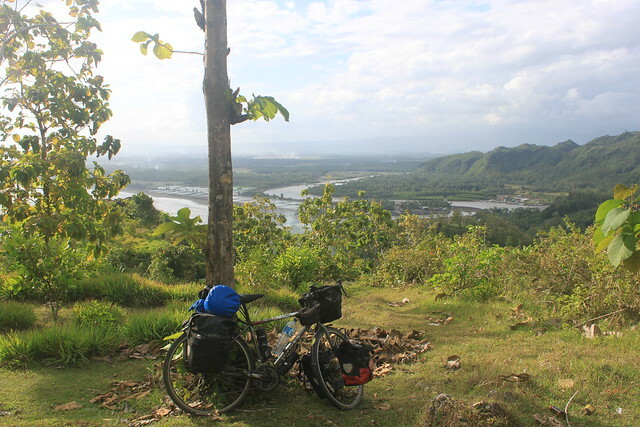 One of the things I dislike the most about South East Asia is not being able to wild camp anywhere. There’s either too much jungle to squeeze a tent in, or people have cleared the land to farm or build a house. 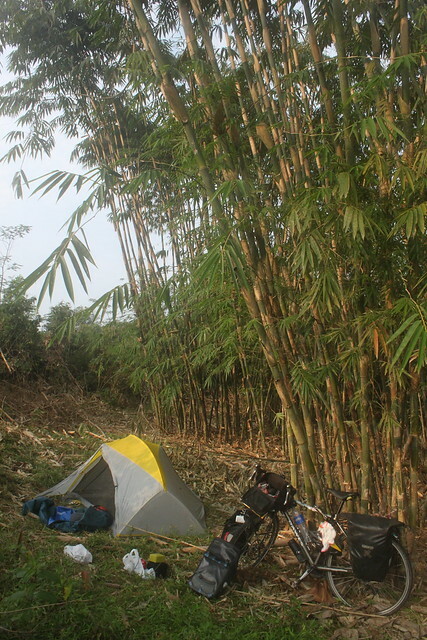 I miss stealth camping a lot, so when I saw a track leading down into a bamboo forest I took my chance. Preparation for Independence Day was in full swing. 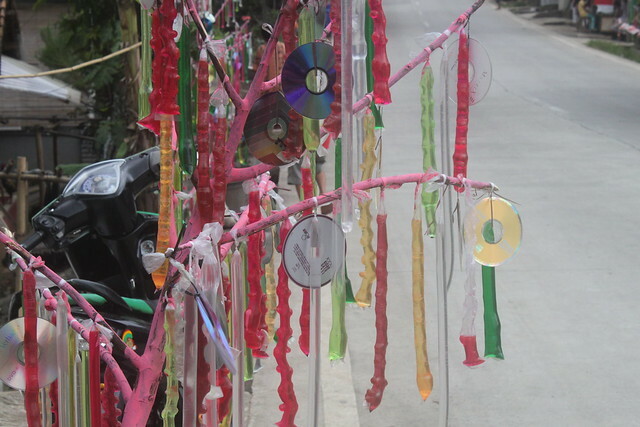 Rainbow flags were dangling above the road every five meters, people had set up stalls selling red and white Indonesian flags and villagers had decorated trees with what looked like multi-coloured condoms. 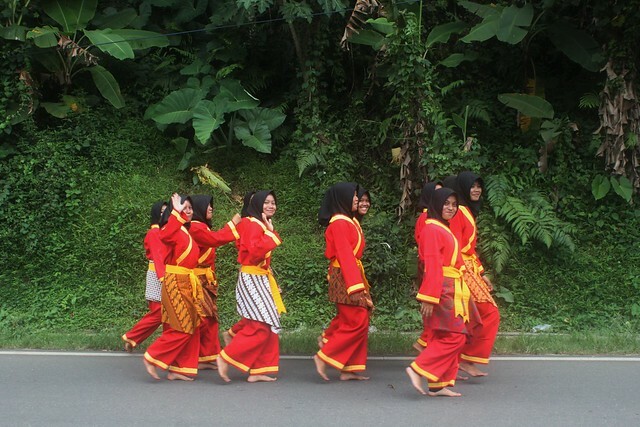 The day I left Bogor was the big day – 17th August. It was also a big day for me on my bicycle. I had my first big mountain pass to conquer. That little hill in Sumatra didn’t really count. This one climbed up to almost 1,500m, which is the highest I’ve been since Vietnam. I love mountains – the sweeping views as you climb, feeling the temperature drop as you ascend and knowing that it will all be worth while when you get to fly down the other side. 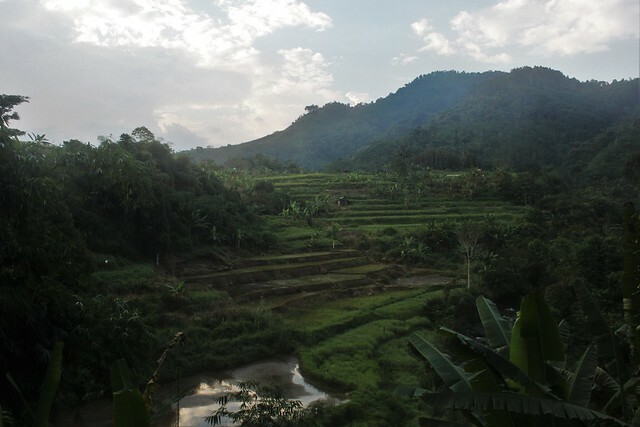 But this was an Indonesian mountain pass and it was a traffic jam the entire way. I have never seen anything like it. It took me about 3 hours to reach the pass, probably not much longer than it would have taken a car. The whole way I was stopping and starting, weaving in and out of the traffic. The streets of Indonesia are lined with traffic wardens helping cars cross or get back onto the road. 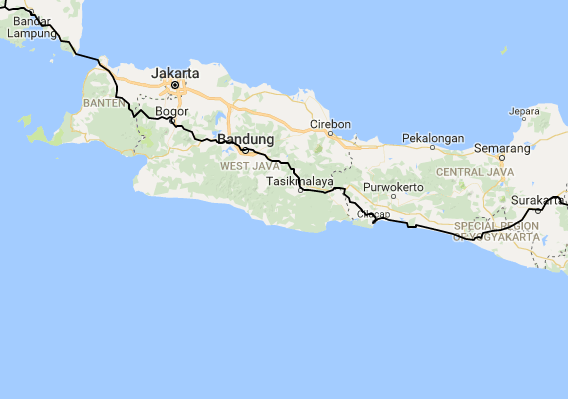 The Indonesians are in such a hurry that they refuse to give way to anyone unless a man is standing in the middle of the road blowing a toy whistle as loudly as he can and waving a glow-in-the-dark stick in random directions. If you drive here, you need to have a stack of small notes to pass through the window to one of these traffic wardens every time they help you. One of these guys was helping cars from a minor road join the main one. He waved his stick in my direction trying to create a gap in the traffic. Not a chance am I stopping here – it’s alright for you lot with engines but it’s hard for me to restart on the way up a mountain. I held my hand out (I don’t use my hands for indicating in this country – I use them to stop people running me over) and continued past. The car trying to pull out drove straight into me! Knocked my pannier clean off and I had to catch myself from falling. The rest of the ascent was better. I was kept entertained by the Independence Day celebrations. I’d been told about two games that I didn’t believe were real until I actually saw them. 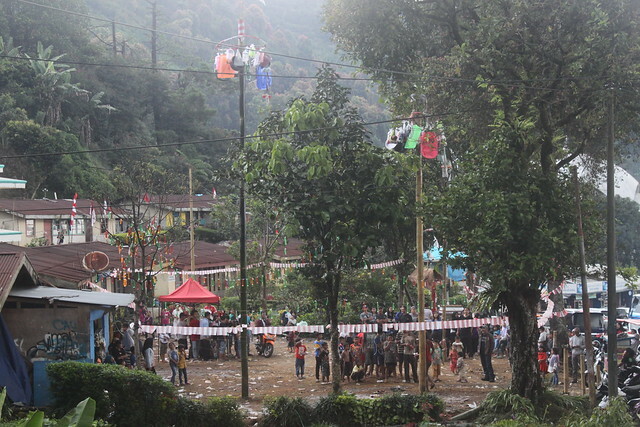 The first one is this: you get a huge bamboo stick, cover it in grease, hang some presents from the top and see who can climb to the top (either by themselves or by making a human chain). These are the grease-covered poles they have to climb up – pretty high! In the second game, kids have to try and catch eels from a paddling pool with their bare hands and transfer them into another pool. Highly entertaining stuff. The air was cool at the top of the mountain. I was back in my element. 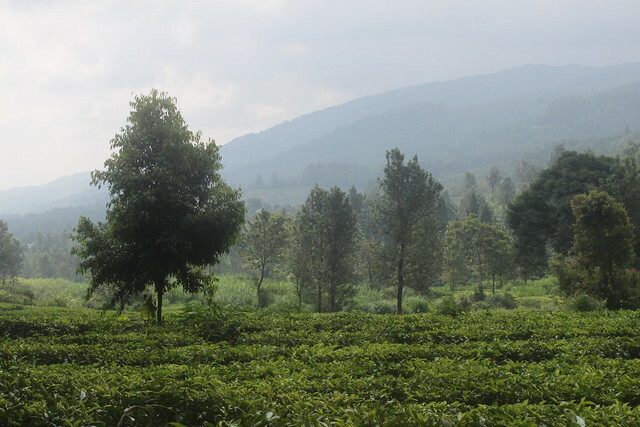 Pine trees dotted the hillsides and tea plantations formed neat rows alongside the road. It seems the Arabs like to fly to Jakarta and drive straight up here for the temperature – many of the restaurants had Arabic signs. 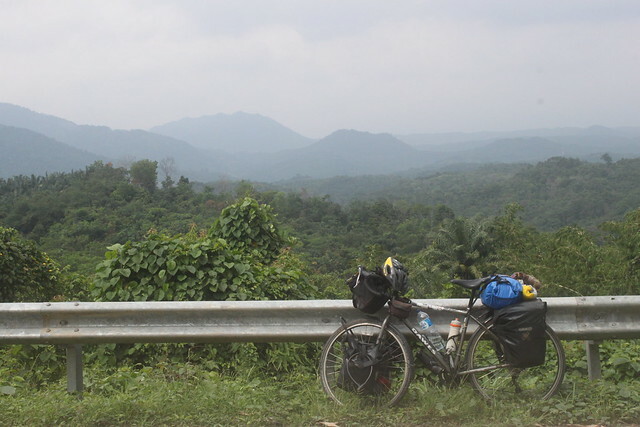 I cycled over the top in a vest and shorts while the Indonesians I passed, bless ‘em, were dressed like they were off to the North Pole – in mittens and woolly hats. Hilarious. Celebratory pic having conquered the pass! 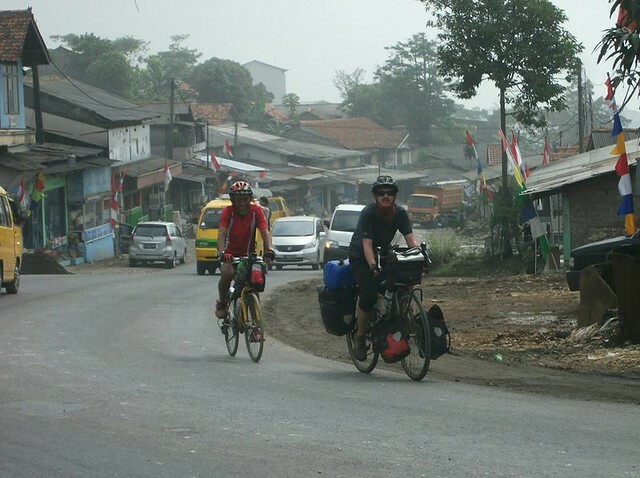 I was beginning to discover a real cycling community in Java. 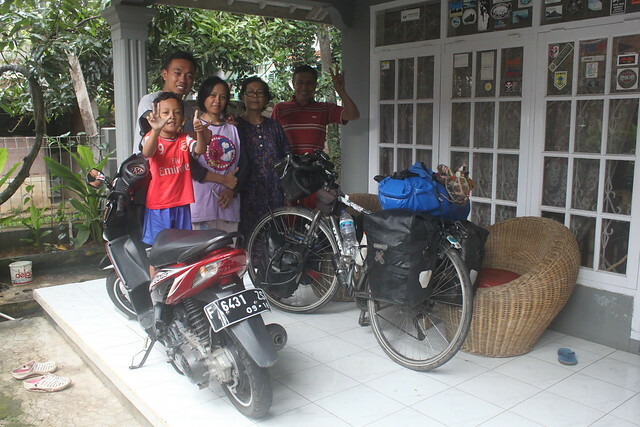 In Cianjur I stayed with Hendrayana and his lovely family – friends of cycling friends. 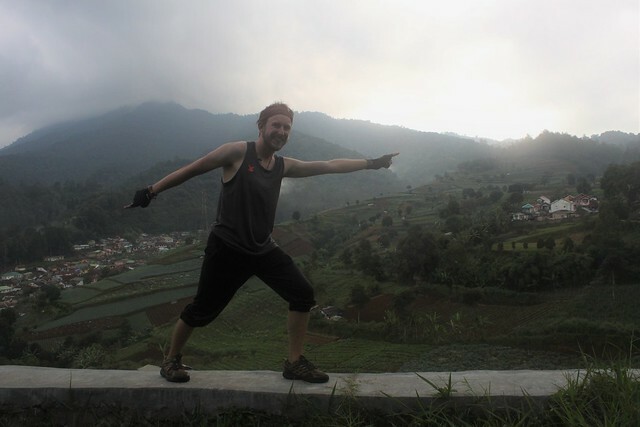 It was the same loose connections that found me someone to stay with in Bogor as well. I was in such a rush to head east that I had no time to plan. Every evening I’d look at the map, choose a direction and see if any of my new friends knew someone who could hook me up there. 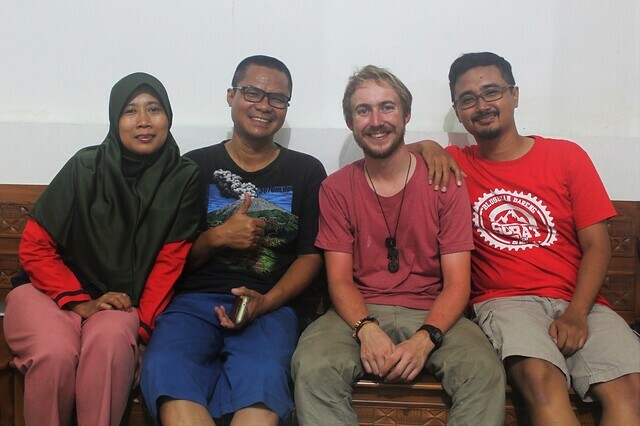 They always could and aside from my first night (when the boat arrived to Java in the dark) I never had to pay for accommodation. 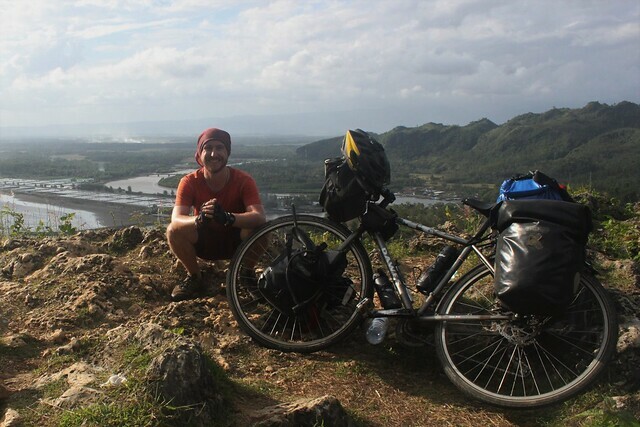 Later in the day I met a touring cyclist from Jakarta – the first bike tourer I’ve met since Malaysia. 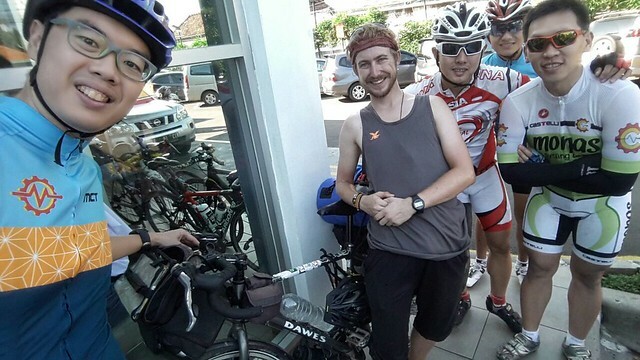 He was on a short recreational tour around West Java and heading home. Why on earth would you not take a bus here? After a couple minutes of chatting he asked me if I wanted any weed. I laughed and declined. Did you not hear about what happened to the ‘Bali Nine’ guys a few months back? Of all the countries in the world I could choose to dabble in narcotics… Indonesia? Not a chance! 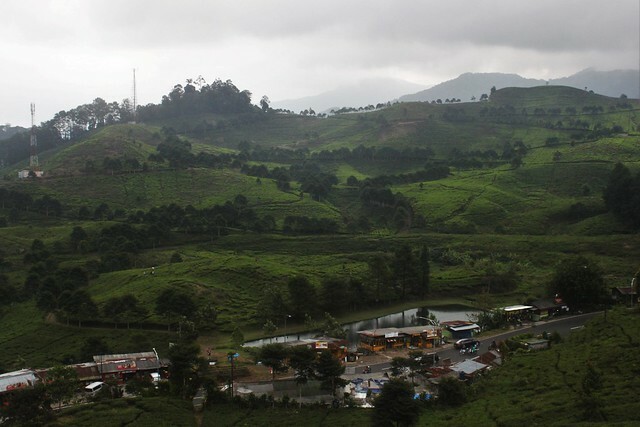 The road was beautiful on the way to Bandung. 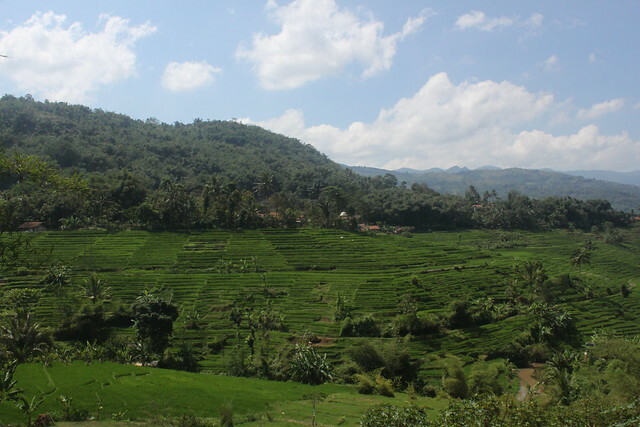 Gorgeous rice terraces stretched out across the valleys (apparently Cianjur rice is the best in Java, but I suspect it’s not the only place where locals say that!). It was still unpleasant cycling though and on one switchback a truck had overturned and fallen over next to the road. The villagers were carrying the cargo (cartons of juice) out, box by box. Some other cycling friends met me and joined me for the ride into town. I like having local company with me, despite the prayer time pits stops at mosques en-route. 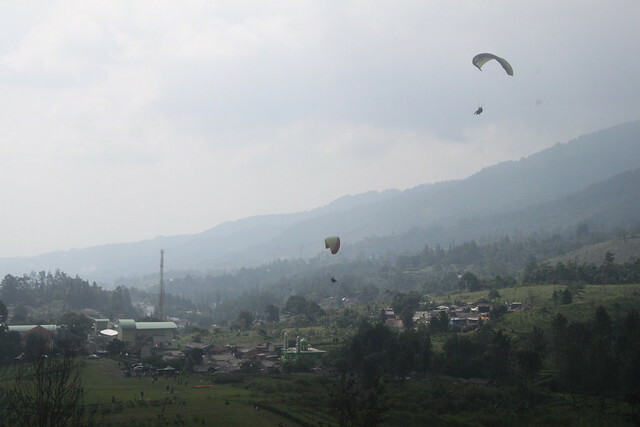 Bandung sits at about 700m above sea level. 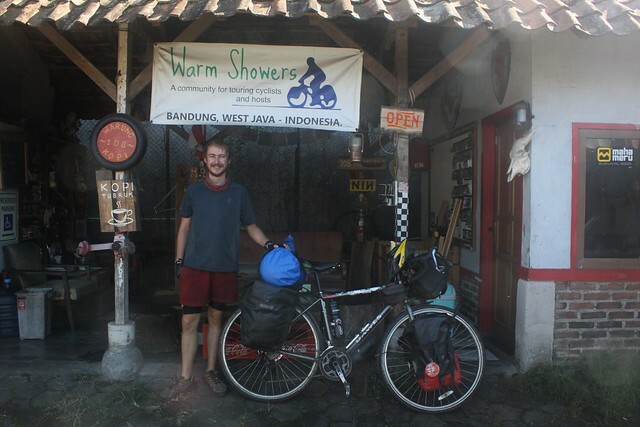 I stayed at the ‘108’ Warmshowers spot and had a delightful sleep in the cooler temperature. For the first time in months I actually used my sleeping bag. 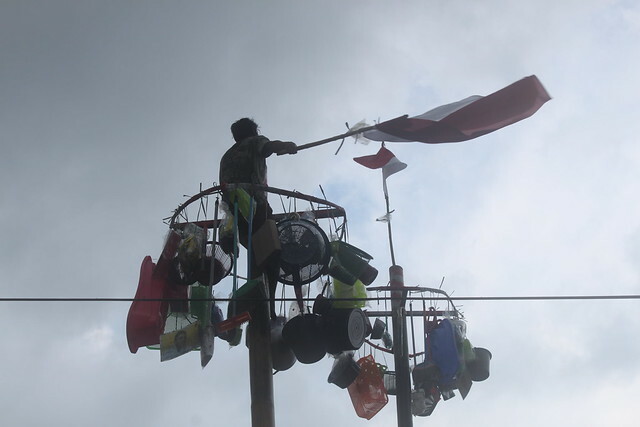 In Tasikmalaya Dadang hosted me. He was a connection through the Federal community. Federal was an Indonesian bicycle manufacturer who stopped producing years ago. 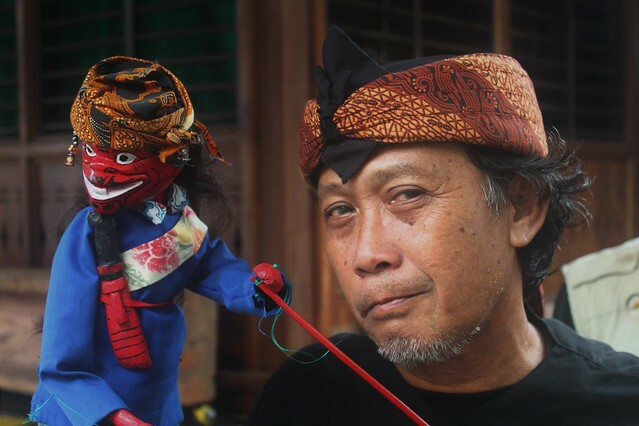 They have a strange cult following all the way across Indonesia and they all seem to have friends who can help me out in the next town. Dadang spoke no English but he showed me an impressive collection of antique bikes he’d been collecting. 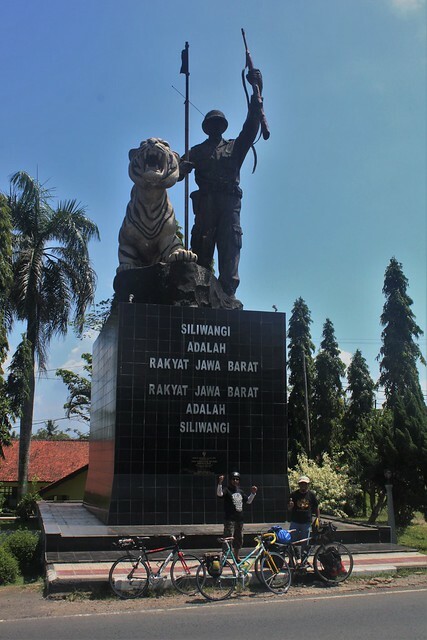 Another of his mates accompanied me to the border of Central Java where we parted ways at a big monument of a soldier and a tiger. 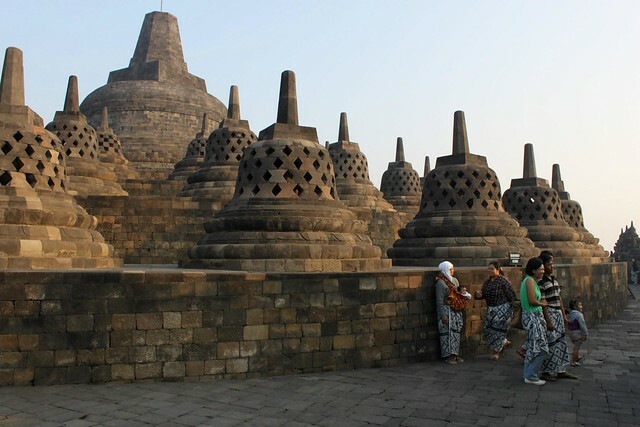 It was the end of the Sundanese world for me – now Javanese was the spoken language. The proceedings feel a bit culty to me. 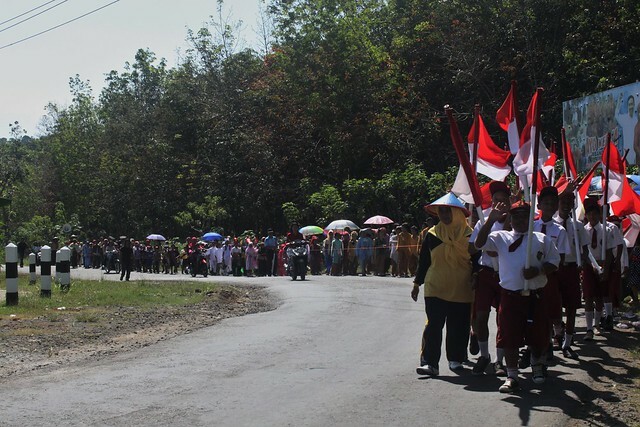 People are marching all over the place singing ‘blah, blah blah Indonesia!’ and practicing in school yards. If there was no football on and I saw people marching around with English flags back home I’d wonder who’d invited EDL. I guess we have too much colonial guilt to celebrate a national day. Perhaps we should celebrate all the countries we ‘gave back’ after briefly controlling and ‘improving’. Then we’d have loads of excuses to party – and if there’s one idea that everyone in England would get behind, it would certainly be one revolving around a day off work and an excuse to get drunk. In Cilacap I stayed with Alfian and his family. I’d been having a nightmare trying to find camping gas in Indonesia. The screw-in type you find in the rest of the world doesn’t exist here and I was starting to panic about running out. I couldn’t even find any online – the one place I had seen was now sold out. Camping gas is readily available here, but it’s the long cylinder (non-screw) type which is more popular in SE Asia. 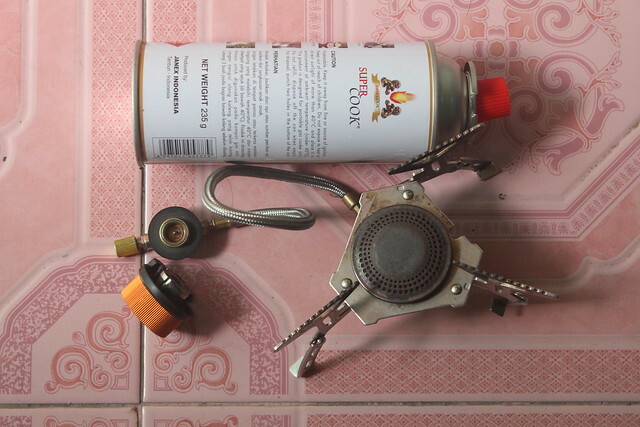 In a stroke of miraculous fortune (really – the chances of this happening are incredible), Alfian was selling one of the (also very hard to find) DIY adapters, so I could buy one off him for a few quid and not have to worry about starving at any future campsites. (The normal canisters here only cost a pound a piece). I followed the coastal road east. There was one particularly nasty section where the minor road weaved up and down over the mountains. It was horribly steep – you could’ve run a roller coaster cart along it. Not fun on a loaded bicycle. 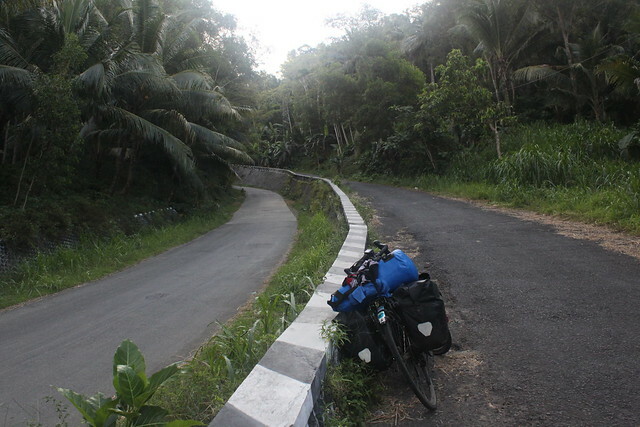 Some of the road gradients in Indonesia are the worst I’ve ever encountered. 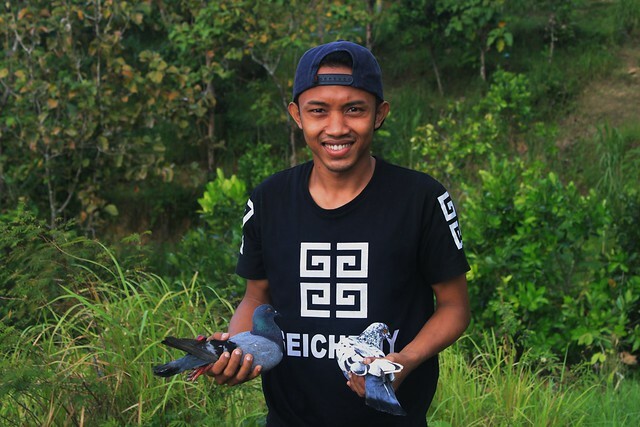 At one of the viewpoints I some guys were throwing homing pigeons of the mountain top. I’ve seen this a lot in this area – at first I thought it was some kind of symbolic gesture for Independence Day, but it turns out they’re just training the birds for gambling. 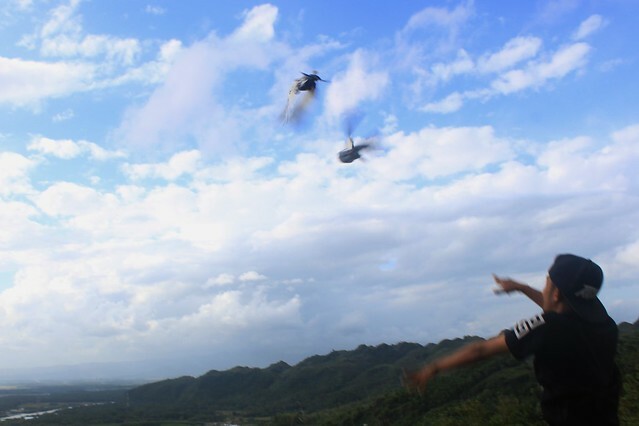 Throwing the birds off the mountain. 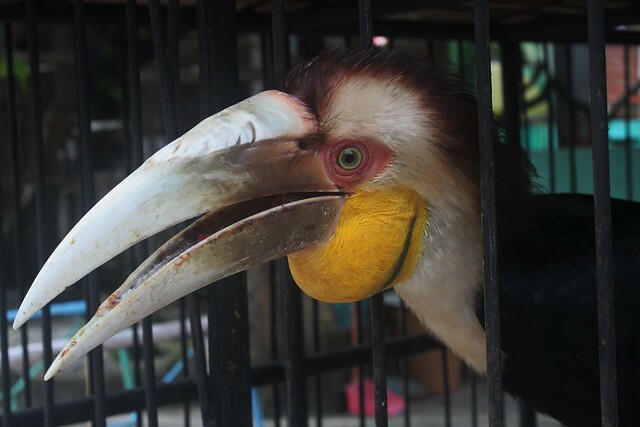 They have whistles tied into their feathers so you can hear them from a miles away. I stayed with Mugi and his family in a small village passed the hills. They owned a reptile zoo, which was very amusing. Among the critters was a 5.5m long python, which was native to Java. Jesus Christ – a five metre snake? Not a chance I am camping anymore on this island. In the morning I was given a quick tour of the village. I hate Indonesian cities. 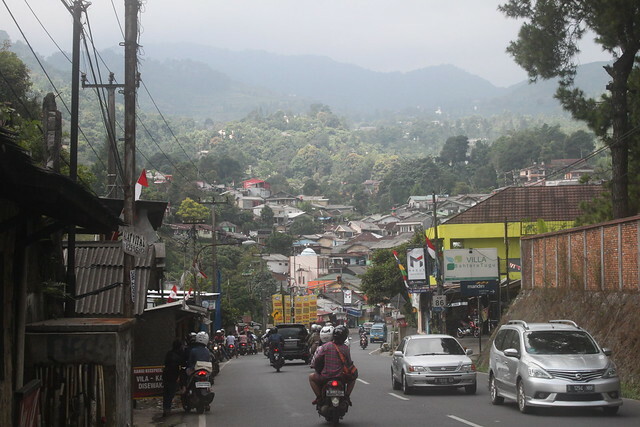 I dislike Indonesian towns. But Indonesian villages? I love them. It was beautiful – the homes were tucked under huge trees, all of which seemed to bear some kind of exotic fruit. We picked water guava, star fruit and rattled seed pods for shakers. 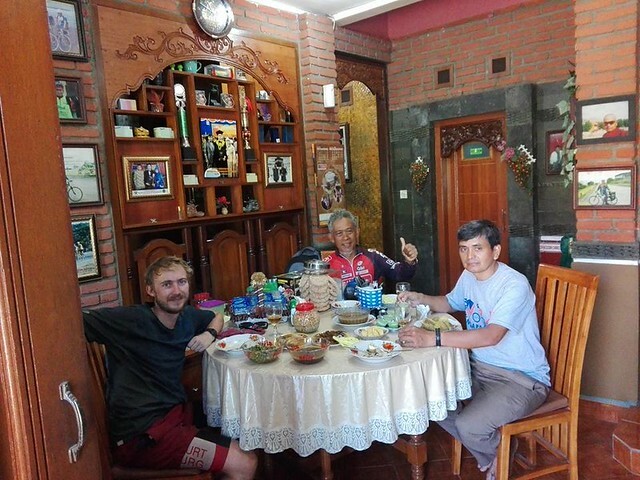 I met one old granny who told me (through Mugi) about how her family had been separated by the Dutch between Kalimantan and Java. Where we met (at the end of the village), was a small tomb and a sacred tree. The tree was old and rare, and occasionally people would burn something at the bottom of it for some kind of religious practise. The ‘proper’ Muslims would never do that – to them it would be worshiping a false God, but it was perfect example of where an ancient animist belief become overshadowed by a newer religion. There are many places in the world where people adapt their own pagan beliefs into strange hybrids with ‘modern’ faith and vice versa. 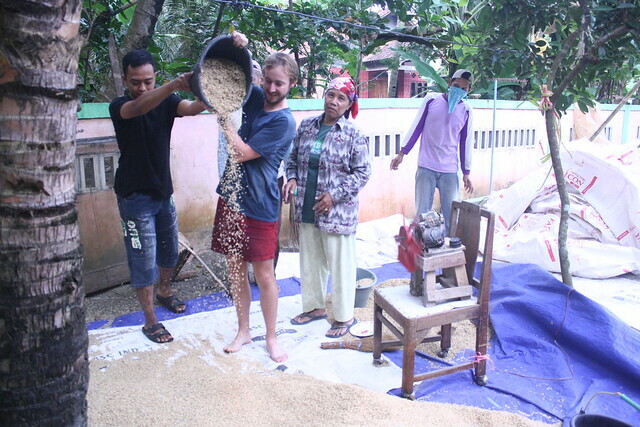 Using a fan to separate the harvested rice. The shells fly away while the heavier grain falls into a neat pile. 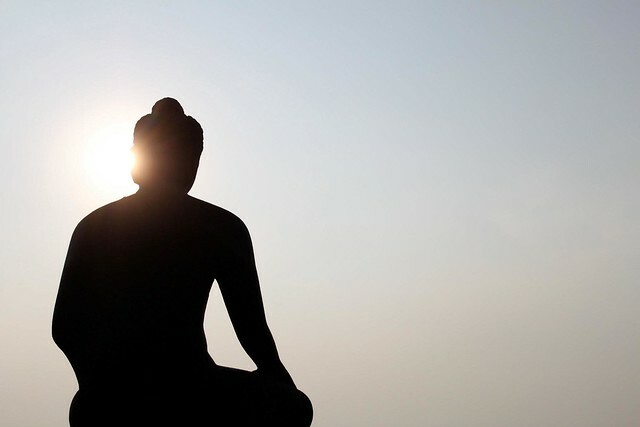 I’d been to Yogjakarta on my last visit, but decided to swing by for a day off. Boy did I need one! I remember it being a pleasant town, and considering I’ve thought every other town vile in this country I wanted to see what I’d make of it this time around. 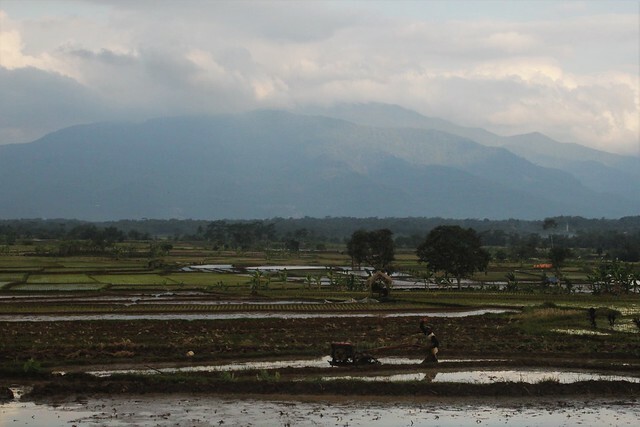 Jogja (as it’s known), certainly has a little more charm than most Indonesian towns. I was just happy to be reunited with two things: foreigners and beer. Perhaps no surprise that they came at the same time. I hadn’t seen another white foreigner since I left Singapore three weeks ago. There are not many places in the world where that is possible. Only in China did I go (three times) almost a month without seeing any other westerners. The Muslim Indonesian government don’t like booze. Strange – they’re happy making millions of cigarette tax while encouraging their nation to smoke themselves to death but not alcohol. I guess cigarettes aren’t mentioned in the Quran. Normal shops can’t sell alcohol, you can get a drink in a bar but I haven’t been to any. Indonesia had become the most sober month of my trip since Iran and I was happy to find the hostel I stayed in had some beers for sale! I’d been cycling hard. My body was exhausted. But I was also socially exhausted. Every night I’d been staying with someone new and I needed to be a hermit for once. The blog was still stuck in Singapore and I desperately needed some WiFi to upload photos over.